To HD or not to HD? One of my friends/cousin bought a 29" flat TV with no DVI or HDMI/HDCP input. He chose age old NTST/PAL/SECAM and component video inputs which have lasted for decades in developed and developing nations likewise. But come end of 2006 in USA and end 2007 UK, analog TV will be history in these nations. ATSC will take over NTSC in USA and PAL in UK. Ques: What's the big fuss about HD? Do I really need it? Ques: What TV do I see right now? 1. Cable through MSO who in turn receive TV through DVB-S STBs with DVB-CAS. DVB-S and IPTV are received everywhere. Ques: What equipment I need? 4. Broadband Internet connection with least 1.5 Mbps for IPTV i.e. A Network connection. Ques: What do these services provide? Ans: D1 or CIF quality video. HD requires more bandwidth, so is more expensive, besides the HD equipment on the client side is also expensive. Ques: What HD equipment can I buy? Ques: What is HDTV Display? 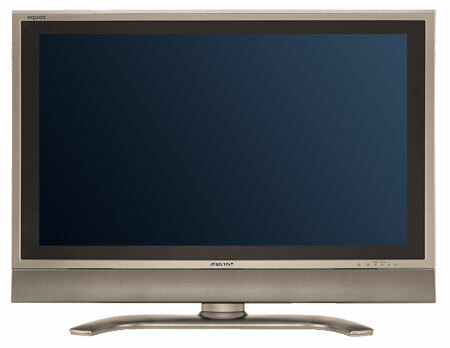 Ans: Any display capable of showing ATSC 720p AND/OR 1080i AND/OR 1080p. Ques: How does it all connect together? Digital interfaces are better in quality and ability to deliver Digital content from digital devices to digital displays. Remember that the world is going Digital!! Ques: What are the options? Ans: Purchase Decision for Consumer Electronic Items with Digital Interfaces, so that they can be connected to other digital devices in ALL-DIGITAL space. If one looks for UPnP compliance in one's devices, one will be able to connect to other UPnP devices with seamless connectivity to move content among one's resources. Displays with digital interfaces costs anything between $1400 to $3500 (for Branded 1080p 30"-42" LCD TV). But the prices are falling dramatically. Plasma displays are good with better contrast, brightness, viewing-angle and price, but consume much more energy than LCD displays which are catching up in these areas. TVs with back projectors are also good, but expensive, and front projectors are also prohibitively expensive for the right brightness and contrast ratings desired. Few more comparisons are listed. ADVANTAGE: Closer than a year ago, but still Plasma. ADVANTAGE: Preference to plasma but depends upon room light, manufacturer and model. Plasma color richness and naturalness will prevail in rooms with lower to normal lighting. 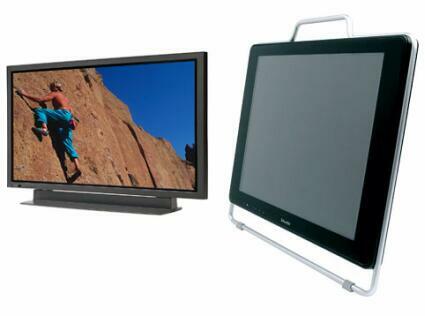 LCDs will be better in very brightly lit rooms due to their inherent anti glare technology and brightness. ADVANTAGE: Even, depending upon manufacturer quality. ADVANTAGE: LCD, though not as much a concern as it was a year ago. ADVANTAGE: Plasma, though the playing field is leveling. Even though production costs and retail prices have come down for both technologies, plasma still has the edge as far as production cost and capacity go. ADVANTAGE: It's currently a toss-up. I have not mentioned lot of technical specifications which matter, but the LCD link given gives a much more comlete and comprehensive picture.